Gray interior shades can be assessed as a measure of both taste and success. Many people believe that the color gray can only please conservatives or boring people. However, stylists have a completely different opinion, suggesting that gray is a color preferred by sophisticated people, who are also most likely to be wealthy but dislike being flashy. 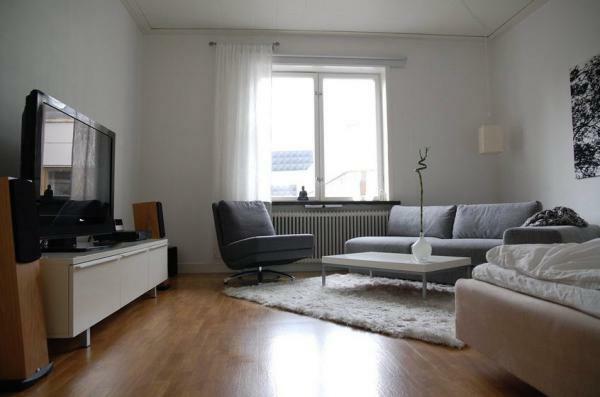 Therefore, gray shades can in the interior can be viewed as a measure of taste, stability and prosperity. 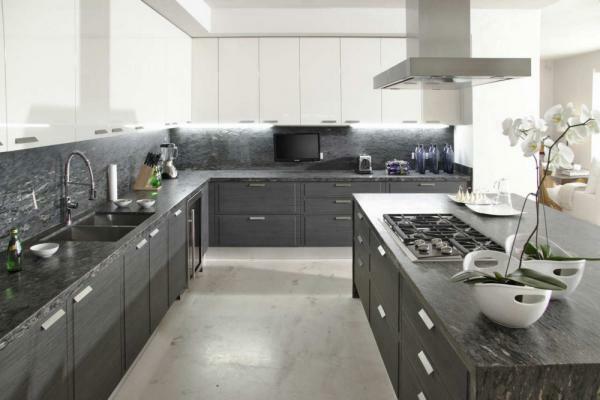 Aside from wealthy and sophisticated homeowners,gray is also highly preferred by designers, many of whom praise gray as the easiest color to work with, since it allows the correction of mistakes made while working, seamlessly smoothens out irregularities and easily blends with other color combinations. 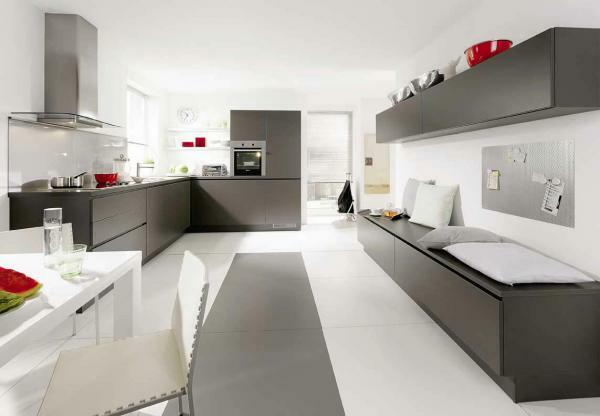 Lastly, the act of using gray as an interior color scheme allows the easy use of brightly colored furniture. Gray has a wide array of colors, a fact not many people are aware of. The palettes of gray paints and finishings come in a variety of shades, ranging from flaxen and white lead to ashen, lime and white stone. In the 19th century, the ‘French gray’shade became the most fashionable wallpaper color. 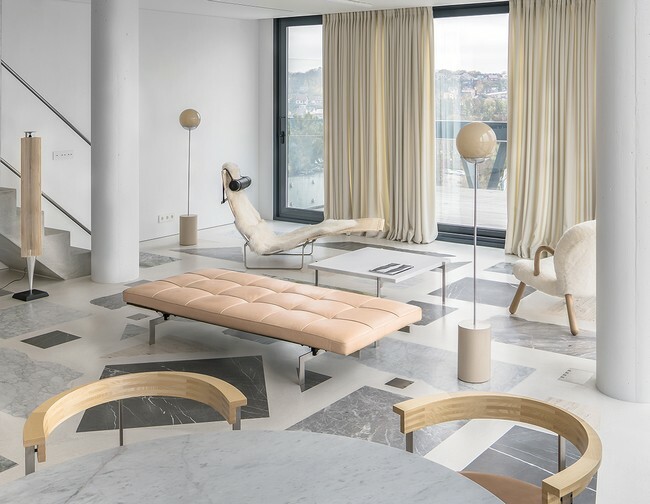 Modern wallpapers come in a wide array of interesting shades, a factor that makes it possible to easily choose a creative and original solution for the interior. 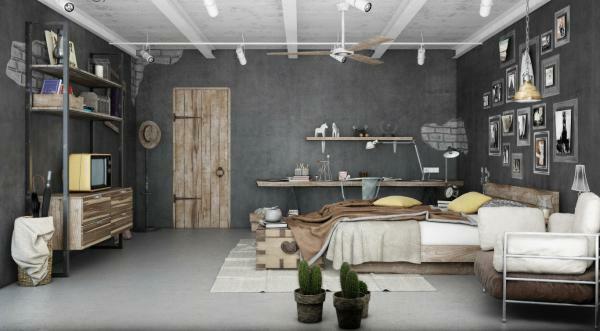 Warm gray shades on the wall go great with wood, particularly walnut, oak, acacia, birch and beech, resulting in calm and harmonious interiors. Gray produces a great end result when accompanied with white. 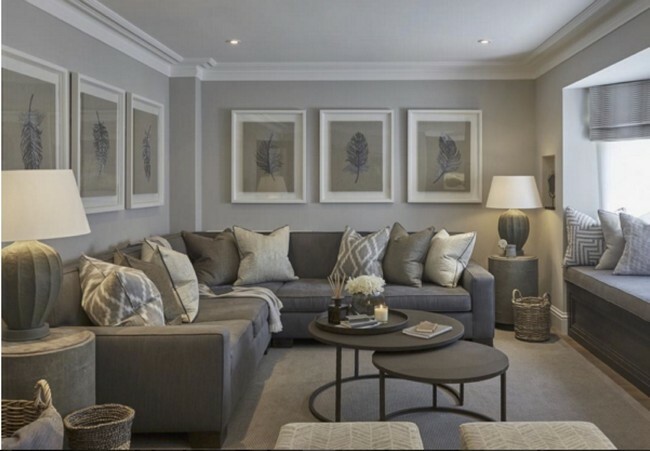 Soft gray shades are well combined with ‘sweet’ tones, which can range from cream to milky white, coffee and caramel. A classic solution is combining gray with pastel yellow and blue.Such an interior will be distinguishable by its rigor and elegance. Bluish and greenish hues come off as vintage and gentle, especially if you use them in flowing textures, such as silk, organza and satin. Almost any tone of gray gives off a great vibe when combined with deep colors, although it is necessary to pay attention to the texture of objects.Preferably, the objects should be smooth and gleaming for the best result. Pairing gray with purple shades creates a very stylish effect, especially if you add a touch of pearl shine. 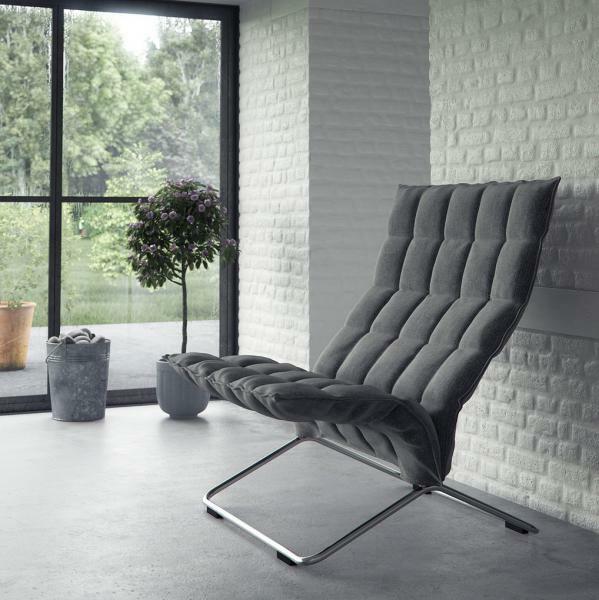 An interesting effect arises if you combine delicate gray with rough textures like brick and natural stone.A similar technique was actively popularly used in 90s interiors, but is quickly gaining relevance again. While gray gives the interior a sophisticated touch, it is also worthwhile noting that an excess of it may inspire melancholy and sadness on the inhabitants due to the dreary effects. 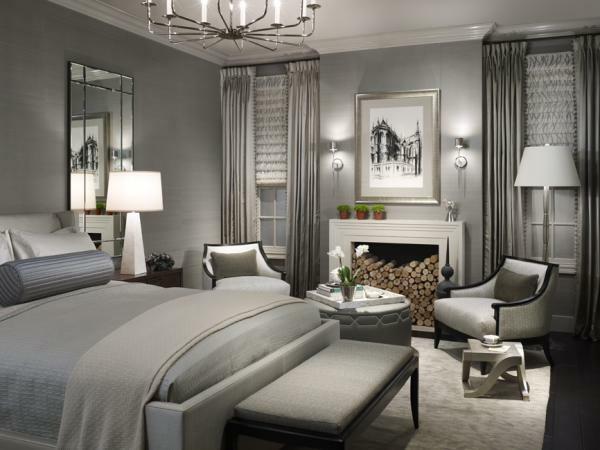 Therefore, when choosing a gray paint or wallpaper, you must first assess the size and illumination of the room, before deciding how you want to utilize the gray color. If the room is not bright enough, utilizing additional light sources comes in handy. 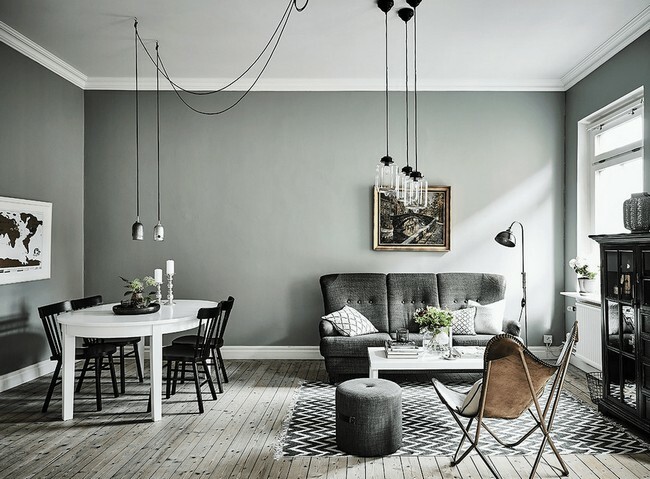 If the room is bright and spacious, then an abundance of gray is appropriate. Due to the large selection of gray shades and the color’s versatility, gray can be used in any room of the home, from the kitchen to the nursery. 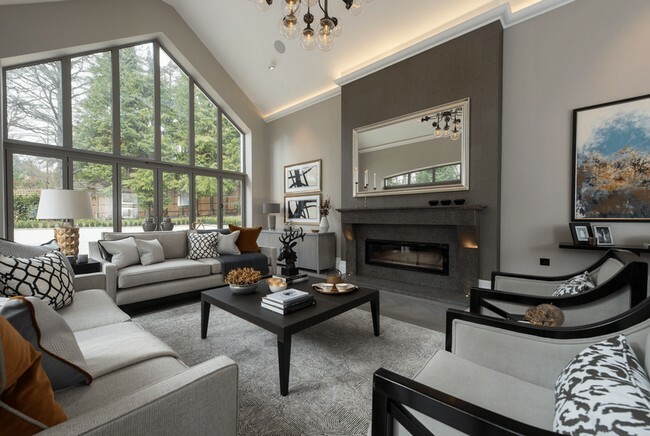 Often, gray interiors are made in the style of minimalism or ecological minimalism. 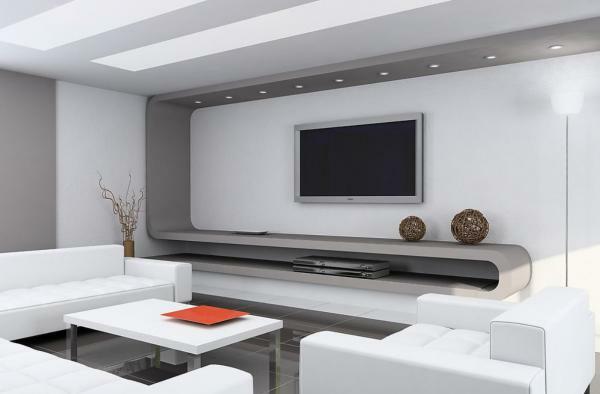 Gray furniture is regarded a lifesaver by many interior designers. 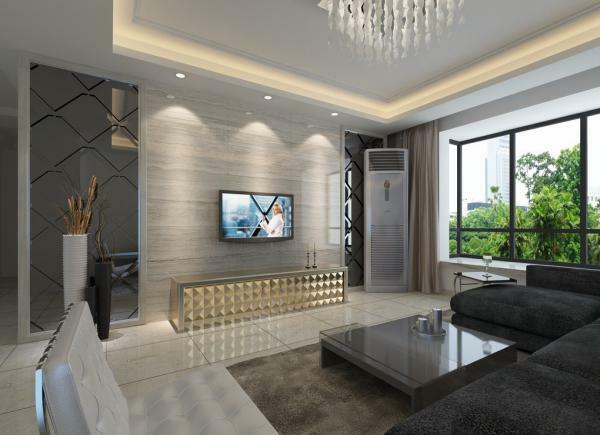 For instance, if the customer really wants to bright-colored colors, then gray furniture will allow the toning down of the brightness and add a little necessary restraint to the interior. Often, gray furniture looks more expensive than beige and black furniture, which are usually considered classy. When choosing furniture, you should also note that gray can be combined with all other colors. Gray is appropriate for use in any room. 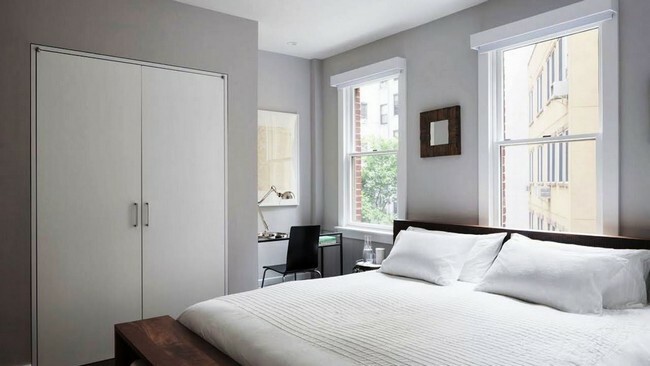 The color looks particularly attractive against a background of warm colors, for instance, having silver-gray bedspreads and pillows and black and white photographs in steel frames on the wall. 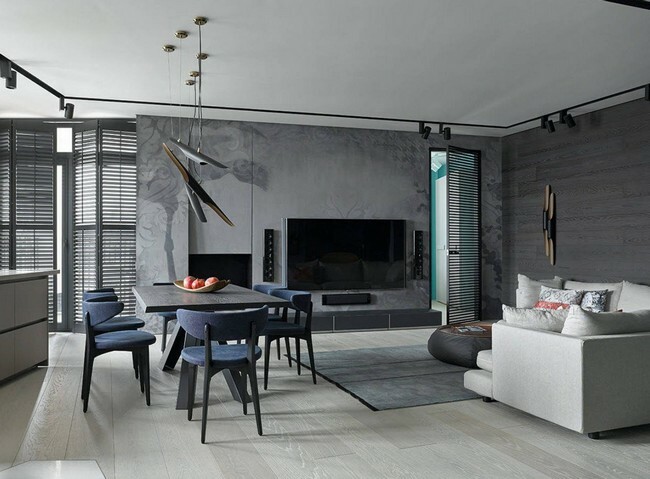 Additionally, accessories such as modern vases or floor lamps not only help in diluting the gray of the interior, but also help in lending the interior a tinge of coolness. Thus, it is evident that gray, which many consider wrongly boring, is very rich in shades and fits perfectly into a variety of interiors. The single most important point to note is that the color should be used wisely, otherwise the room will become dull and boring, instead of giving the desired effect of prosperity, restraint and good taste.